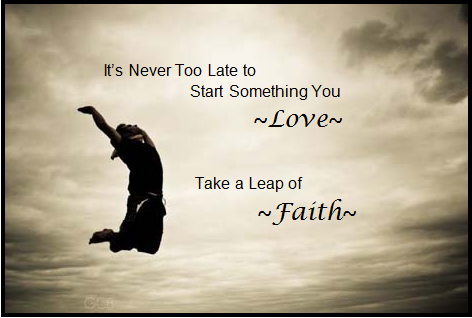 Take a leap into your life with faith and grace. When what you see isn’t what you want, it is time to make a commitment to you. To what you want to see. To be the person that you know you were born to be. Grace is an aspect of Love which is most like the state prevailing in the unity of truth. It is the world’s most lofty aspiration, for it leads beyond the world entirely bringing you into joy and supreme happiness. Live in the grace of your dreams. Take one step toward something you have always wanted to experience and keep on walking. Have faith in in Love to lead the way ahead. For These Time in Which We Live it is important to connect to the source of what brings you Joy. Next Post God Loves Me!